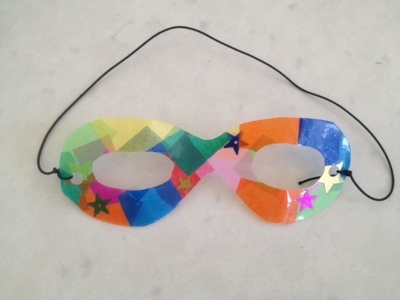 These snazzy superhero masks are fun to make and wear. 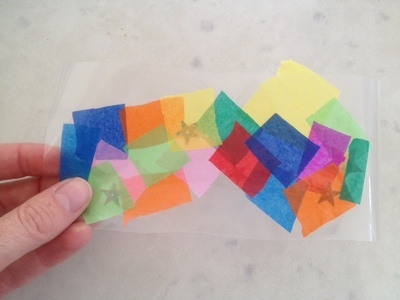 Kids will enjoy sticking collage pieces onto the sticky plastic and no glue is involved so it's a low mess activity. 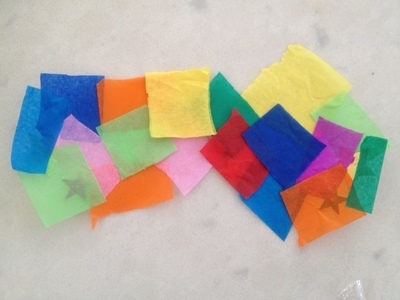 Make matching colourful wrist cuff bracelets to complete the look. 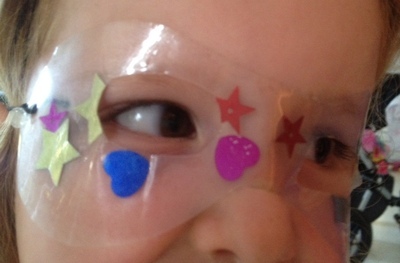 Cut two rectangles out of contact paper (sticky back plastic) just bigger than the mask you want to make. 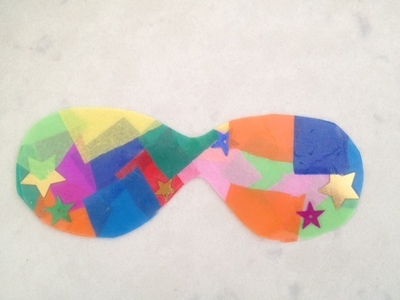 Draw a mask shape on the paper side of one piece. 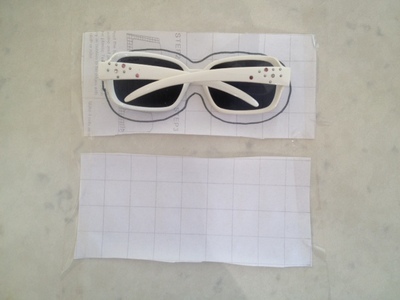 You can use a pair of kids sunglasses to help get the right size and shape. 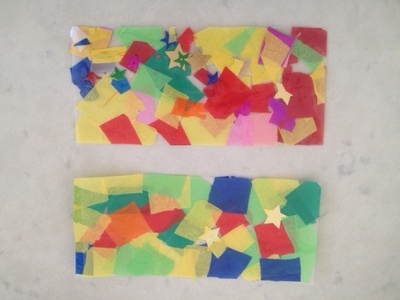 Peel the paper backing off the contact paper and stick collage items to the sticky side. Stick the other rectangle of contact paper on top, sticky side to sticky side. Trim round the mask shape. 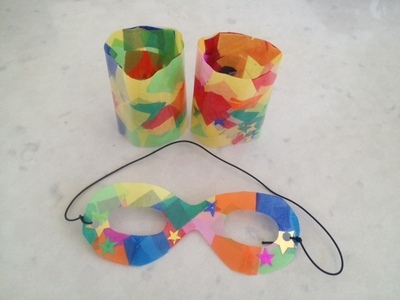 Fold over each half of the mask and cut half an eye hole on each fold. 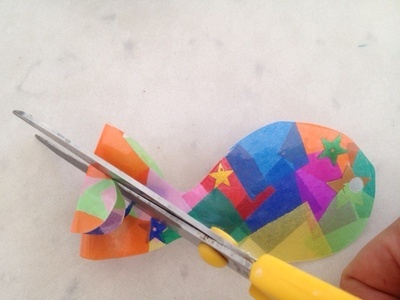 Open up to get your finished mask shape. 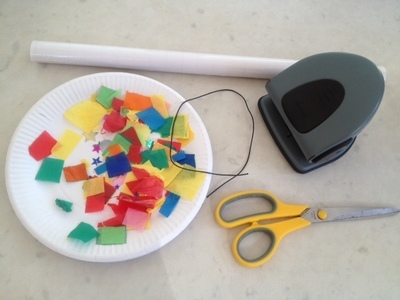 Use a hole punch to make a hole in each side and tie on elastic. Our elastic was 40cm long. Make matching superhero wrist cuffs by making two rectangular pieces in the same way. Wrap each bracelet around a wrist and fix using sticky tape.